Siemens PLM Software, headquartered in Plano, Texas, has been supporting SNC’s Space Systems’ product lines, including the Dream Chaser spacecraft program, for over a decade with Siemens’ engineering software tools. Siemens’ role on the Dream Chaser program has evolved from its years of work with SNC’s Spacecraft product line. The expanded use of advanced engineering software tools has strengthened the SNC and Siemens alliance, which will also help facilitate the international expansion of the Dream Team. 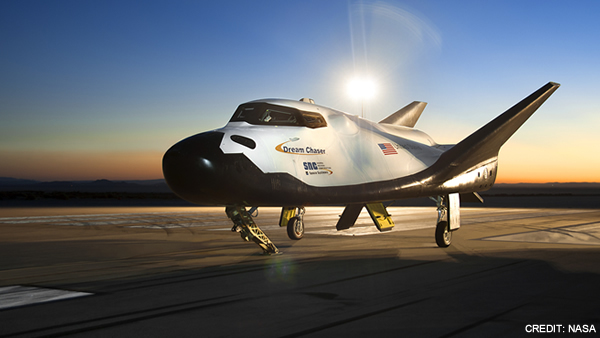 The use of Siemens’ software technology will facilitate global vehicle development and the servicing of additional customer markets for the Dream Chaser spacecraft. Work on this strategic alliance will be supported through SNC’s Space Systems’ Louisville facility.